Singapore’s transport operator SMRT is hiring more former military personnel to lead its human resources department. Former colonels in the Singapore Armed Forces (SAF), Clifford Keong and Lee Yem Choo, have been hired as head of HR and head HR at SMRT’s Thomas-East Coast Line division respectively. SMRT has a history of hiring former military personnel into its top ranks. Its recent CEO, Neo Kian Hong and his predecessor, Desmond Kuek, were both former chiefs of defence force. Kuek had hired several ex-military personnel in 2012. One of whom was former colonel Gerard Koh, who is now SMRT’s chief corporate officer. According to the Straits Times, Koh had begun his career in SMRT as director of HR but now oversees group corporate functions in information technology, procurement, human resources and training. 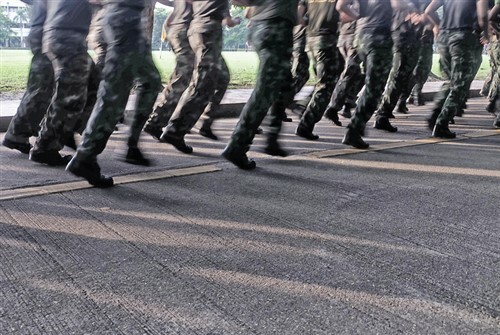 How will a strong background in the military affect how HR is run in the organisation? David Leong, managing director of human resource firm PeopleWorldwide Consulting, said the SMRT's reliance on people with a military background for its key posts “will make SMRT like a quasi-military outfit with an entrenched protocol”. However, Low Boon Seong, managing director of human resource consultancy Align Group, disagrees. He said it does not matter where managers are from, but whether they can “effectively align the team with the company direction (and) at the same time build trust and empathy to foster a positive culture”. In recent years, SMRT has been struggling with a long line of negative headlines, with the latest one being a demotion of its COO for a case of personal misconduct.